This is a great drill, for both the beginner and the advanced. You’ll need a shot timer, and a range that has at least 15 feet of usable lane on it. You use a target that has a 5″ (or smaller, if you want to make it tougher) circle on it, run it out to 5 yards, then fire 5 shots, in five seconds or less, from the draw (or from the ready, depending on the experience level of your students OR if you are using a long gun). 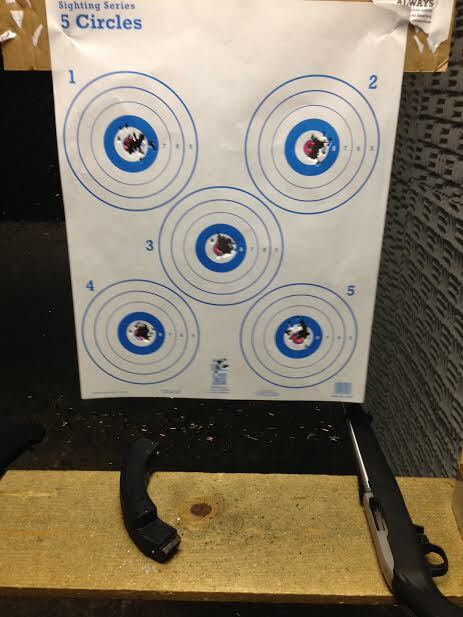 In preparation for my thesis presentation at the upcoming PAUL-E-PALOOZA II Memorial Training Conference, I expanded this drill slightly, to make it, “5 yards, 5 rounds, 5 targets!” This helps get the speed of multiple target transitions smoother, as well. A fun drill, brought to my attention by Kathy Jackson and Claude Werner, and originally conceived by Gila Hayes. Stay tuned for more info on the .22LR RIFLE for Special Application, Home Defense! Here is an interview I did with John Johnston of Ballistic Radio, on my PEP II lecture topic! 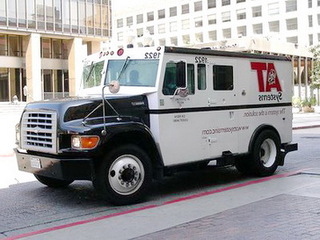 I spent a good portion of my life, working in and around this type of armored truck. I’ll immediately make the caveat that I won’t write about, or field questions on anything that would be detrimental to the security of armored truck operations. One, “good,” thing is that there was a HUGE benefit to conducting all operations in CONDITION ORANGE. What I’m referring to is Colonel Jeff Cooper’s, “Color Codes,” that he delineates and describes in his book, “The Principles of Personal Defense.” Note the graphic depiction, below. In escalating order, “Condition White,” refers to the state of readiness we are in when we are asleep, maybe in the shower, or (but hopefully not) walking through a mall with our face in your phone and fall into a fountain! “Condition Yellow,” is awake, with the brain-engaged, and aware of our surroundings. This is the condition we should be in behind the wheel of a car, or whenever we are in public. 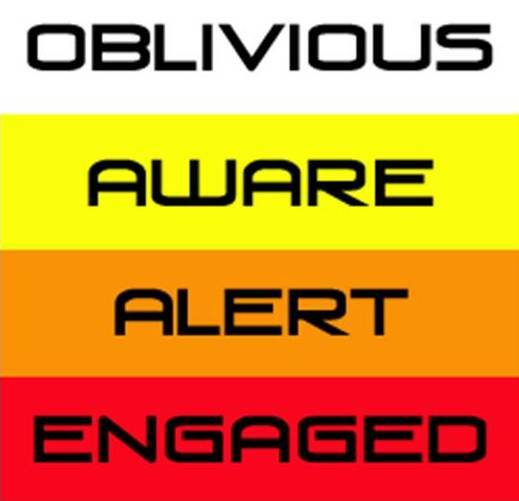 “Condition Orange,” refers to a state of hyper-awareness…we are in an acute state of readiness. We are primed to respond to any incoming threat, and we are constantly scanning our environment for any hazards. “Condition Red,” refers to the mode of being where we are actually engaged in a fight…this is no longer a stage of readiness, the action has begun, whatever action that may be (physical altercation, shooting, car accident, medical response, etc). At first, being in a hyper-aware state for 9-12 hours at a time was exhausting! But after a few years, it became second nature. To the point that it was hard to no longer NOT be in Condition Orange when outside of home. Now, almost 20 years later, my pedestrian life as a dentist is considerably slower paced, and MUCH less dangerous. Although I still sharpen into the ORANGE state, when needed, I’m pretty much continually in Condition Yellow. VEHICLE PLACEMENT. Do you think about where you park, when entering a store? Do you pay attention to the vehicles around you? Do you notice if they are occupied/or empty? Do you notice if their windows are tinted? Do you notice if they have out-of-state license plates? Bumper stickers? ALL of these indicators (and others) can be cues that could dictate a, “course heading change,” on your part. BAD THINGS happen in parking lots. The point at which the victim occupants either ingress or egress their vehicles is a crucial time. MAINTAINING a hyper aware state throughout this process prevents ambush style attacks. And honestly (and far more statistically likely) it will prevent you from being run over by an unaware or distracted driver…WHICH there are many! PERSONAL PLACEMENT. Where do you position yourself, when you are in a potentially hazardous situation? Do you consider a bank to be a hazardous environment? If you don’t, you SHOULD! Do you scrutinize EVERY individual that comes through that door, while you are in the bank? YOU SHOULD? If a robber comes through that door, he will be looking at YOU! “Blading,” yourself to keep your eyes mobile in all directions is crucial to avoid getting blind-sided. Keeping your back up against a solid wall, or something immobile will also prevent someone from coming up behind you, unexpectedly. Is there anything around you that will stop bullets? Although I always wore armor on the job, I’d much rather have an incoming round arrest itself on the truck door, a door frame, a safe or a file cabinet, then in my armor. Also, “cover,” is relative…”cover,” will stop bullets, but it is relative to the size of the bullet coming at you. What may stop rimfire and pistol caliber rounds effectively, won’t do much for centerfire rifle rounds! So be wary of what lies directly around you, and how you can best use it to your advantage. And if there is no good cover around you, try and find an area that can conceal your position! KNOW YOUR ENEMY. In nearly EVERY armored truck incident that took place while I was on the job, the BAD GUYS had intimate details on the crew they were going to rob. How they acquired these details, and the amount of research they actually did was variable. A bad guy might assess you on immediate visual inspection, and determine whether or not you are a worthwhile target, or he might spend months figuring it out. If you can give someone sketchy a look that lets them know, that YOU are prepared for violence, that MAY be enough of a deterrent to convince them to select someone else. I saw the reports from several cases that professional truck robbers steered completely clear of guards that were hyperaware, professionally dressed, fit and had good weapons handling skills. Their risk/benefit analysis decision-making-tree gave them a strong victim preference for the people that did not possess the aforementioned attributes. A wise man once told me, “EVERYTIME you step out of that truck, LOOK like you are ready to win a fight.” Makes sense! PREPAREDNESS. Do you have functioning, loaded weapons? Do you have medical supplies (for gunshot/penetrating trauma but also for the more likely motor vehicle collision), is your communication gear (cellular) charged and working? We never expected the police to show up and help us if we were robbed, or broken down roadside…you shouldn’t either. The objective of the armored transport industry is simple: get from POINT A to POINT B, and safely transport whichever items we were contracted to protect. If anything impeded our path, go around or go over it (“Avoidance, deterrence and deescalation.” -John Farnam). It’s a good bit different from just about any other job…the closest comparison is to the, “shotgun messenger,” of the Old West. Their task was literally to guard a strong box, filled with valuables, and anyone that tried to take it from them with force, was shot! It required a unique set of skills to do proficiently and safely. But these same ideas, especially in terms of awareness and prevention, carry over to everyday people, like you and me. WELL THEN WHY NOT SPEEDLOADERS? On a duty belt, or when you don’t give a rip who sees what you are carrying, speed loaders are great. If you wear baggy shirts and can hide them, more power to you! For me, I simply find it easier to just slip a speedstrip into my pocket, and head out. But, as illustrated in the photo, the difference in bulk is noticeable. I plan on checking out a new speed loader carrier from Barranti Leather (http://www.barrantileather.com) in the immediate future, so stay tuned for feedback on that. Thanks for checking in, and welcome! WANT TO HOST A CIVILIAN DEFENDER COURSE IN YOUR AREA? Gabe White…KING of the kydex SLAP!